Flamingo Land are delighted to announce the arrival of two black rhinos from Zurich on September 23rd. 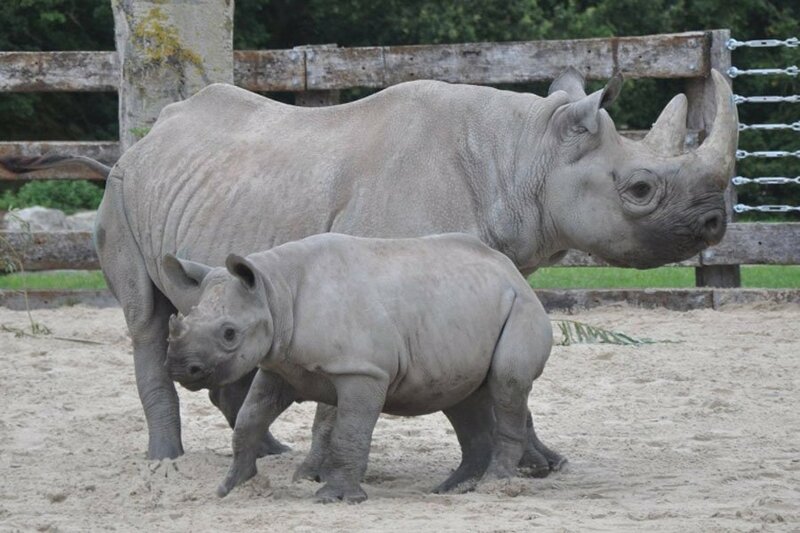 Samira (the mother) and baby Olmoti (born last December) will be the first inhabitants of our Flamingo Land’s new Selous Black Rhino Reserve. After a day or two settling into their new home, they will be greeting visitors. Moving a mother and baby calf together is an incredibly rare event and they join us as part of an international breeding programme. Development of the Selous Black Rhino Reserve represents significant habitat research by our zoo team and a substantial £1.6m investment by Flamingo Land. It features an extensive, naturally sympathetic, multi-terrain environment, a giant centrally heated Rhino house and a high-level public access platform, allowing visitors to enjoy great views both inside and out. The black rhino is one of the five species of rhino, and despite its name is usually grey or brown. It can be distinguished from its counterpart, the white rhino, by possessing a hooked lip as opposed to a wide square lip and the black rhino is also smaller. Flamingo Land is the only full member of EAZA exhibiting both white and black rhinos, and there is only one other zoo in Europe (in the Czech Republic) keeping both species. Adult black rhinos can reach 1.4-1.8 m in height and 3-3.75m in length. On average they are around 1-1.5 tonnes and are capable of running speeds at around 30-35 mph. The rhinos’ horn is an important tool used for digging up roots and branches along with defence. It continues to grow as it is made of a protein called keratin, so the rhino files it by rubbing it against hard surfaces.